For nearly 10 days after news broke of Saudi journalist Jamal Khashoggi’s “disappearance” after entering the Saudi consulate in Istanbul, state-owned Egyptian newspapers, as well as most private ones, chose to play it safe and avoid antagonizing the kingdom by simply not reporting the story. Eventually, however, the story became too big to ignore, threatening Saudi Arabia’s ties with many countries and giving rise to demands that the kingdom—and, more specifically, Saudi Crown Prince Mohammed bin Salman—face repercussions. At that point, many of those same Egyptian media outlets, as well as more influential talk show hosts on private television channels, slowly started to refer to the crisis by adopting the official Saudi line: Neither the king nor his son, the crown prince, was involved in Khashoggi’s disappearance, and the entire saga was a conspiracy carried out by Turkey and Qatar––both known sponsors of the Muslim Brotherhood––to harm Saudi interests and its image on the world stage. The Qatari-Turkish-Muslim Brotherhood axis has been considered public enemy number one in Egypt, Saudi Arabia, and the United Arab Emirates (UAE) since the ouster of former Egyptian President and Muslim Brotherhood leader Mohammed Morsi by the military, following mass popular demonstrations in July 2013. Reports on Khashoggi’s ties to the Brotherhood and his Islamist sympathies, as well as the presence among the protestors in front of the Saudi consulate of well-known figures from the Egyptian Muslim Brotherhood who have been living in exile in Turkey, were viewed as evidence to support those theories. Ahmed Moussa is a television presenter who might be viewed as Egypt’s equivalent to Fox News’ Sean Hannity. He is a staunch conservative and fervent defender of Egyptian President Abdel Fattah el-Sissi and the government’s policies. Moussa hosted panelists who made unsubstantiated claims about Khashoggi’s fiancé, including allegations that she might have been an agent for Turkish intelligence. Since Morsi’s ouster five years ago, Saudi Arabia and the UAE have become Egypt’s main backers and are instrumental in supporting its economy. 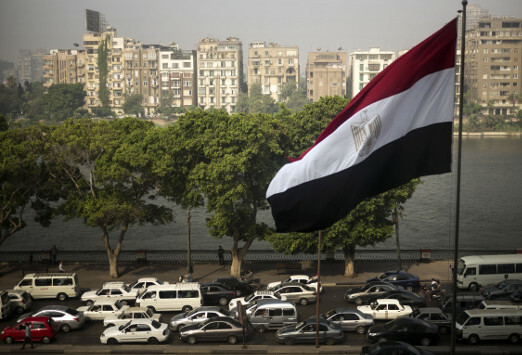 When Egypt’s coffers were at an all-time low, and the country was struggling to find cash to import vital commodities such as oil and wheat, both oil-rich Gulf countries provided billions of dollars in cash as grants and loans. Saudi and Emirati royals also played a key role in seeking to normalize el-Sissi's relations with the U.S. and European governments that were clearly unhappy with what they viewed as a military coup against a democratically elected president. While this proved difficult under President Barack Obama, the situation changed radically after Donald Trump took office. Egypt, Saudi Arabia, and the UAE, together with Jordan and Bahrain, became the backbone of a new Trump-led alliance aimed at confronting Iran. Things took a complicated turn, however, after Saudi Arabia requested that Egypt return two Red Sea islands, Tiran and Sanafir. The Saudis claimed that the islands were Saudi territory, given to Egypt to administer during the years of military confrontation with Israel after its creation in 1948. El-Sissi’s approval of the deal angered many Egyptians, who saw no reason to hand over the islands. Hundreds of protesters were arrested to quell the growing opposition to the deal. Saudi influence in Egypt has long been strong. Former President Hosni Mubarak was a close ally and depended on Saudi Arabia and the UAE for cash and political support. While Saudi Arabia had traditionally hired public relations firms in the U.S. to influence decision-making and lobby Congress, Riyadh was allegedly equally generous in Egypt through business deals and direct payments to prominent media outlets, politicians, and businessmen to praise the Saudi royal family and their policies. In June 2015, Wikileaks released hundreds of alleged secret cablesfrom the Saudi embassy in Cairo, revealing how Egyptian officials and journalists, including MP Bakry, were paid to defend Saudi interests. “The editor-in-chief of Egypt (the president) did not issue orders to us to ignore the Khashoggi story,” the managing editor of a private daily newspaper said, denying any instructions from the presidency on the matter. “Sometimes the Saudi influence over the media is even stronger than that of the government. You can criticize el-Sissi, maybe, but you can’t criticize Saudi Arabia, or write negative reports about the royal family. There is a lot to lose,” he added. Nevertheless, there were a few voices that criticized the way in which Egypt's media dealt with the Khashoggi story, such as Amr el-Shobaki, a columnist and researcher at Al-Ahram Center for Political and Strategic Studies. After the newspaper he writes for, Al-Masry Al-Youm, finally covered the story, he wrote a column asking those who promoted the Qatari-Turkish-Brotherhood conspiracy theory not to ignore the tragic human aspect of the story, simply demanding that Khashoggi’s fate and whereabouts be revealed. Egypt’s government has finally come out in support of the Saudi version of events: that Khashoggi was killed by Saudi agents at the consulate in Istanbul after an alleged fistfight. It continues to stress, however, that neither King Salman nor the crown prince had anything to do with the killing. Egypt’s foreign ministry issued a statement on Sunday, Oct. 21, praising the Saudi decisions to arrest 18 suspects and remove the deputy director of Saudi intelligence, claiming that this reflected the kingdom’s commitment to the rule of law. The manner in which the Egyptian media covered the Khashoggi drama confirmed that Egypt could not afford to harm its ties with Saudi Arabia, although any further ramifications are likely to be driven by Washington, rather than Cairo or Riyadh. “If Trump was careful not to damage ties with Saudi or to cancel the generous deals worth hundreds of billions of dollars with Riyadh, it should not come as a surprise that the Egyptian media’s stand on Khashoggi was not any different from that of the Saudi media. Money talks,” said the managing editor of the private Egyptian daily.